Allstate vs. Geico, Progressive, State Farm: Which One Is Best? NerdWallet compared these insurers and found out who’s best in five categories. Here’s a quick look at how the insurers compare, ordered by their rank in NerdWallet’s 2019 best car insurance companies analysis. You can also see each company’s top traits — the categories in which it ranked first or second in NerdWallet’s separate, in-depth comparison of the four largest insurers. For many, price is king and little else matters as much. If that describes you, State Farm is worth checking out. State Farm recently cut rates in most states — twice in some — making it the cheapest, on average, among the four companies in NerdWallet’s 2019 analysis. A voice-activated resource for Amazon’s Alexa, plus an in-app virtual assistant. If you’re looking for a particular feature from your insurance company, you may find it with some and not others. These are some of the options that set the four largest auto insurers apart from one another. Some cost extra; others are included at no extra charge when you buy a policy. 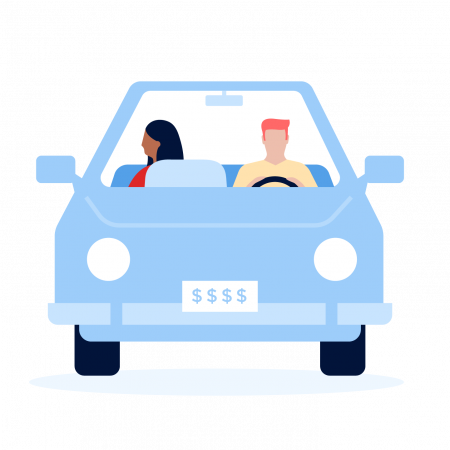 Star ratings come from NerdWallet’s 2019 ranking of the best car insurance companies. If price is your main concern, Geico may be right for you. NerdWallet’s analysis of insurance rates found Geico is consistently cheaper than Allstate, on average. But if you’re looking for specific coverage options, Allstate may have what you need. Allstate offers several options that Geico doesn’t, including new-car replacement coverage and usage-based insurance.